Dedicated to everyone for whom working in children's theatre is, was or will be special. In the mid-sixties, while I was at Oxford, I went to see a big commercial pantomime at the New Theatre. It was a matinee and the audience was mostly children. As a child my favourite theatre treat had for several years been Peter Pan, but I had also enjoyed pantomimes. Now, having grown up a little, I watched the show rather differently. I noticed that the story-line was very thin. The entertainment was really a succession of variety acts. The children in the audience were often restless. After the story had rather perfunctorily been disposed of, the star comedian embarked upon his half hour obligatory spot. It was quite enjoyable, if, in my view, out of context. At one point he cracked a slightly blue joke. The children didn't understand it. A few of the adults did and cackled in the stalls. Whereupon the star walked eagerly down to the footlights, leant over and said: "Oh, come on, let's get the kids out of here and then we can get started!" It was as though an electric shock had jolted me. I even blushed. How on earth, I thought, can this man, who is being paid a lot of money to entertain these children, blatantly tell us that he would rather be entertaining his late night cabaret audience. Surely those children deserved better. It struck me that there was very little theatre aimed at children. That moment was a turning point in my life. The seeds for my career in children's theatre were sown early. At first it was Peter Pan and pantomime and then, by the age of eight, I had developed an interest in conjuring and puppetry. 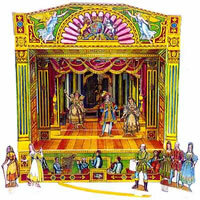 I loved my Pollock's toy theatre and performed puppet shows in the back garden. By the age of eleven I was part of a cabaret act, singing and performing magic tricks. In my teens I started performing magic at children's parties. In retrospect I realize this taught me a great deal about how children respond en masse and how to encourage and control audience participation. My interest in magic has continued. I am a member of the Magic Circle and perform my own Magic and Music Show in theatres. I often try to incorporate magic and illusion into my children's plays. Incidentally, magic helped me get into Oxford; Christopher Ricks, my long-suffering tutor, once confessed that although my academic abilities were no more than average, he thought I might be useful to have around - he had three young children at whose birthday parties I entertained. As a teenager I took part in school plays, local amateur theatricals and youth drama festivals. For several years I attended residential youth drama courses run by a wonderful teacher / writer /director called Frank Whitbourn, who at eighty-five is still my mentor and is the first person to see the first draft of anything I write. At Oxford I managed to do more acting and writing than I might ever have done at a drama school. Plays in the Oxford Playhouse, a European tour in Shakespeare, several Edinburgh Festivals and, perhaps the greatest thrill, writing songs for and appearing in Hang Down Your Head and Die, the anti-capital punishment revue that transferred to London's West End. After scraping through my degree, I co-wrote and appeared in a University revue called Four Degrees Over, which was also lucky enough to transfer to the West End. The other performers were John Gould and Bob (now Sir Robert) Scott, with whom I later presented The Owl and the Pussycat Went to See ... in London, and Adele Weston, who, by a strange coincidence, also became a children's writer, and a highly respected one, under her married name, Adele Geras. After a period of enforced 'resting', during which I tutored a prepschool boy in Latin and a Swiss ski-instructor in English, I co-wrote a documentary musical for the Traverse Theatre in Edinburgh and spent a very happy few months doing Theatre in Education at Watford, sharing in the early days of this new form of theatre which had been pioneered by the Belgrade Theatre, Coventry. It taught me a hell of a lot about playing to cynical teenagers at 9.30 in the morning. I also learnt the importance of keeping moving and having eyes in the back of your head when playing in the round; one day I didn't and got spat at. Maybe that influenced me later to concentrate on younger children. For Watford TIE I also wrote a participatory play about Boadicea. From this I learnt a lot about taking children seriously. 1967 found me in repertory at the Swan Theatre, Worcester. I directed The Knack and a new musical called A Present From The Corporation, and as an actor I gave my Feste in Twelfth Night, played the juvenile lead in Caste and dragged up for Charley's Aunt. Then I had my first break as a film actor, playing Johnny, one of the rebel schoolboys in Lindsay Anderson's If.... which became something of a cult film. This taste of the high life might well have detracted me from any idea of pursuing a career in children's theatre, but I was inadvertently hijacked from any thoughts of stardom on the big screen by my return to Worcester, and by the request of John Hole, the director of the Swan, to do some children's theatre. First of all it was limited to Saturday mornings. I regularly compered and performed in a show with the other actors in the company. We presented a hotchpotch of stories, magic, songs and audience participation. Audiences grew and soon we were having to do two performances instead of one. I found that I loved doing these shows. Indeed I began to wonder whether I was enjoying it too much. I sensed a feeling of power over the audience. They were so willing to join in and to follow my lead. I felt that if I asked them to, they would do absolutely anything. I could understand how Hitler's youth rallies had been able to brainwash young Nazis into blind obedience. Children are impressionable. I now realized how responsibility is a quality vital to the children's entertainer. Next John Hole suggested I wrote an adaptation of Hans Andersen's The Tinder Box. He didn't want a pantomime. The theatre was too small to present a traditional pantomime and in any case, he didn't really like them. He told me he wanted me to write a 'proper' play for children. I was not to worry about the adults in the audience - if the children enjoyed it, the adults would. He wanted the story clearly and imaginatively told. Audience participation was fine, but it had to be made part of the story. There were to be no speciality acts or irrelevancies. It may seem strange now, but at that time his brief was quite unusual. Most Christmas entertainments then were jolly romps or extravaganzas. Even adaptations of Alice in Wonderland or The Wizard of Oz were aimed at a wide audience and had to have a broad appeal. John's insistence that we concentrate on the children was refreshingly novel. I never saw a performance of The Tinder Box - I was giving my Wishee Washee at Watford at the time - but I don't think it was very good, even though the cast and director were very talented and worked hard on making the story come alive. The writer still had much to learn. Luckily, John Hole didn't give up on me, and the following year asked for another musical play. Sonia Davis, his secretary, suggested The Owl and the Pussycat. This was the play that got me hooked. My acting career continued. I did a play, After Haggerty, for the Royal Shakespeare Company. 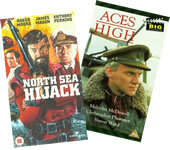 I was in films like Aces High and North Sea Hijack. I did lots of television including classic serials and even starred opposite Shelley Winters in a two-hander called The Vamp. In I970 I created the role of the Son in John Mortimer's A Voyage Round My Father and was nominated Best New Actor; later I played the part again in Toronto opposite Sir Michael Redgrave. But all the time my commitment to children's theatre was developing. By the time I wrote my fourth play for Worcester we reckoned that the audiences trusted us and that familiar titles were no longer necessary. I wrote my first original play, The Plotters of Cabbage Patch Corner. This subsequently came to London and was directed spendidly by Jonathan Lynn, who was later to achieve a wider audience by co-writing Yes, Minister and going to Hollywood to direct feature films. Jonathan's work reinforced my belief that children's plays should be directed seriously. He made the conflict between the insects in the garden totally real. The success of this production in 1971 and 1972 was also due to Sheila Falconer, the choreographer and Peter Pontzen, the musical director, both of whom have worked with me ever since. Their contribution to the style of my productions has been invaluable. Susie Caulcutt provided the brilliant set and costume designs. She had first worked with me on the London Owl and has since designed most of my own productions. Her sympathetic interpretations of my work have never been equalled. For some years thereafter I rather turned up my nose at the idea of adaptation, thinking grandly that the original art of children's playwriting was the be all and end all. For Worcester, I wrote Flibberty and the Penguin, The Papertown Paperchase and Hijack Over Hygenia. But when John Hole departed to open the new Queen's Theatre at Hornchurch he persuaded me that the larger stage and better facilities now at our disposal might offer openings for adaptations of pantomime subjects. Also, there were many books and stories which had such splendid ideas in them that it was foolish to ignore them as subject matter. I called them my 'pantomime substitutes'. They were conceived as musical plays for children rather than traditional pantomimes. They retained certain elements of pantomime, but sometimes, as in Babes in the Magic Wood and Mother Goose's Golden Christmas, had original story-lines. Looking back, John's continued confidence in me had a huge influence on my development. I ended up writing thirteen Christmas productions for him. A regular annual commission, a writer's dream. Cameron Mackintosh came into my life in the early seventies, when he offered to co-produce a Christmas season and national tour of The Owl and the Pussycat Went to See ...  Since then he has often financially supported my productions. For this I will always be most grateful. But perhaps his major contribution to my development began in 1976. I had been asked to write a new children's play for the Towngate Theatre, Basildon. 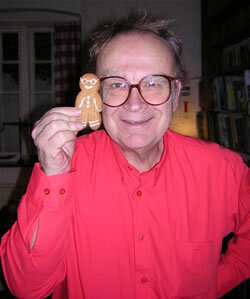 Presented by the Theatre Royal, Norwich, The Gingerbread Man was directed by Jonathan Lynn. Cameron came to see the play and immediately offered to coproduce it with me in London the following year. He secured the Old Vic, which proved to be a splendid venue, and the play ran there with considerable success for two Christmas seasons. We subsequently produced the play in several other West End theatres, as well as on tour. We never sought subsidy and the play was never commercially successful, mainly because the seat price was kept low to encourage school parties to come. 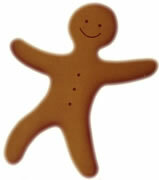 But the response was always positive and The Gingerbread Man became my most popular play. It has been performed all over the world, and one of my happiest memories is seeing Japanese children reacting to it in exactly the same way as their English counterparts. I subsequently adapted the play into a book and a television model animation series. The response of audiences throughout Great Britain to the touring productions of Owl and The Gingerbread Man convinced me that touring was the best way to introduce the work to the widest possible audience. Ideas for a national touring children's theatre began to be discussed seriously, and in 1978, WSG Productions, the company I ran with John Gould and Bob Scott, presented a pilot tour of Flibberty and the Penguin. The tour was well received, but it proved conclusively that in order to maintain our standards and in order to keep our seat prices low, we needed subsidy or sponsorship or both. Commercial sponsorship was beginning to make its mark on theatrical projects, and we were lucky enough to secure funding from Clarks Shoes. They proved ideal sponsors, providing splendid give-aways for every child and never asking me to write a play all about shoes. We decided to give the touring company a new name, Whirligig Theatre. It would be run as a public service rather than a commercial venture. The first tour for the new company was a revival of The Plotters of Cabbage Patch Corner. Arts Council Touring took an interest in our work, and supported it through the eighties. An average tour would play in middle-scale and large theatres to over 100,000 children. Most of the performances were day time matinees to which school parties could come. Teachers became our allies and we regularly presented seminars for them, as well as offering Teachers' Packs and competitions. When Whirligig's second production, Nutcracker Sweet, was safely on the road, I went to Unicorn Theatre and wrote and directed Meg and Mog Show, based on the books by Jan Pienkowski and Helen Nicoll. Maureen Lipman made a wonderful Meg, and the production was revived many times. This play introduced me to even younger audiences than I had written for before. Although parties of five to seven year olds came from primary schools, the show was especially popular with groups of pre-school children from kindergarten and playgroups. Talking to teachers in the eighties about children's growing interest in and concern for the environment led me to write The Selfish Shellfish, The See-Saw Tree and Save the Human (originally commissioned by the Cambridge Theatre Company). In these plays many of my own ideas from children's theatre became fused with some of the aims of Theatre In Education and led to what I believe is some of my best work. In the nineties, it has become increasingly difficult for Whirligig to maintain its touring programme to the major theatres. In 1989, the Education Reform Act began to make its impact on theatres across the country. It stated that school theatre trips that had been traditionally subsidized by parents, now had to be paid for by the schools. As schools had no budget for such trips, the Act allowed them to approach parents for a voluntary contribution. However, when something is labelled 'voluntary', approximately one third of people are reluctant to pay. Therefore, many theatre bookings had to be cancelled. For example, for Whirligig's 1989 Sadler's Wells season we had seven thousand advance pencilled bookings, but by the time we opened three thousand had been cancelled. This was echoed across the country. School party bookings dropped and theatre managers began wondering whether to include children's theatre in their programming. Children's theatre companies in turn found it very hard to survive. The Education Act is still in place, but many teachers seem to be ignoring this aspect of it, and schools do seem more willing to bring parties to the theatre. I sense that the tide has turned. The recent Whirligig production of The Gingerbread Man at the Birmingham Hippodrome appears to prove this point. The Hippodrome offered the production to schools at only £5 per ticket, including transport. This was an initiative inspired by the visionary attitude of Professor Tim Brighouse, Birmingham's Education Chief, who has stated that every child in Birmingham is entitled to a theatre visit. In Birmingham, approximately 10,000 children attended the performance in one week, and the experiment was declared a great success. The Education Reform Act, therefore, seems to be less of a deterrent, but nevertheless had a devastating effect, which children's theatre is only just getting over. This coincided with a shift in attitude by theatres where it was no longer feasible to present a children's play even as an important community service because its low seat prices might prevent it making money or even breaking even. Sponsorship and Arts Council funding have simultaneously become harder to achieve. The costs of mounting our relatively large-scale productions have increased, yet the seat price must be kept low (a third, say, of an average adult seat price). Thus the gap between expenditure and potential revenue has increased; filling that gap has proved difficult, sometimes impossible. As a result, some of my most recent plays have been more commercial adaptations of very familiar and popular children's books. In 1990 James Woods and Justin Savage of Clarion Productions invited me to adapt and direct The BFG by Roald Dahl. This toured successfully and played to well-attended Christmas seasons in the West End. It was followed up by another Roald Dahl adaptation, The Witches, which also toured and played in the West End, and two adaptations based on Enid Blyton's Noddy books. All these productions were mounted with care and integrity. Many of them employed members of the Whirligig 'team'. I was very pleased with the results. But I live in hope that it will soon be possible once again to present plays with lesser known or new titles for school parties. This does not mean to say that school parties do not come to the more commercial titles - many do. And it does not mean that the plays are not suitable for family audiences at the weekends. But the shift away from public service to pure commercial viability is a trend that threatens the future of children's theatre. My tally of plays for children stands at approximately forty. I have been very fortunate in that most of them have been commissioned and that all of them have been published by Samuel French Ltd. Many of the plays are regularly performed by professionals and amateurs all over Great Britain. Some of them have played successfully abroad. But so far the costs of transporting one of my own productions to other countries have proved prohibitive. Even The Gingerbread Man (one basic set, six actors) was unable to play the Vancouver Children's Festival because it was 'too big'. It required a theatre rather than a marquee and a day rather than a couple of hours to 'set up'. In spite of the problems, I know I was right to concentrate on children's theatre, even though it has always been something of a crusade to keep up the momentum and persuade the theatre establishment to accept the work as important. Writing and directing the plays takes up far less of my time than trying to arrange productions or secure funding. But every time I witness an audience reacting positively to my work I know it has all been worthwhile. And I am greatly encouraged by the number of young actors, writers and directors who are now not simply interested but genuinely determined to make a career in children's theatre, sharing the ideals of those of us who started in the sixties, and who still believe that children are the most important audience. I find children's theatre more challenging, and the rewards - though not necessarily financial - greater. For me, as writer, director and often producer, the creation of a new piece of work, the writing and the build-up, via casting, pre-production meetings, and rehearsals to the opening performance is always a daunting yet exciting journey. Nothing gives me greater satisfaction than to sit in an auditorium witnessing a full house of children unequivocally approving my work. The challenge is to give a unique theatrical experience to an audience, many of whom will be first-time theatre-goers, to involve them emotionally, to sustain their interest in a story, to inspire and excite them using theatricality, to make them laugh, to make them think, to move them, to entertain and educate them by triggering their imaginations. Over the years the challenge has never faded. 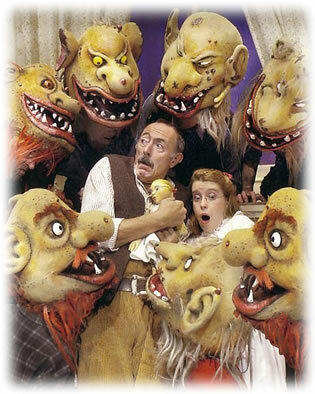 If it had, perhaps my single-minded dedication to children's theatre would have long since waned. But every new play, every new production stimulates the adrenalin, brings on the nerves and invites me to the fray. Janet Grant is responsible for encouraging me to write the book Theatre for Children: A Guide to Writing, Adapting, Directing and Acting; she mapped out its structure and scope and helped me analyse the way I work. I am truly grateful for her patience and persistence and for her skilful ability to ask me the right questions. Janet expressed a professional interest in children's theatre which made me realize how little there is in the way of formal training available for people seriously interested in children's theatre: books, courses, and/or workshops. Yet since I began my career there has undoubtedly been a sharp increase in the number of young theatre practitioners considering a career in children's theatre as a serious option. I am also concerned that the assumption that children's theatre is somehow second-rate compared to adult theatre is still prevalent. Maybe this is our own fault. Maybe we haven't banged our drum hard enough. Maybe we haven't yet convinced our adult theatre colleagues, the critics or indeed the general public of the importance and vitality of our work and the enormous improvements it has seen in quality and variety over recent years. Maybe now is the time for those of us involved in all aspects of children's theatre to speak up and wave the flag. In my book I wanted to share my enthusiasm for children's theatre and encourage others to enter this exciting field. I want to erase the myth that writing, acting in or directing children's theatre is an easy option. It is not easy and is often done badly because there is little about the dramatic theory of theatre for children in print and therefore theatre practitioners haven't understood the depth or breadth of the art form. I want to pass on the knowledge I have gained through many years of practical experience of writing, directing and performing for children, in order to inspire all drama practitioners who enter the world of theatre for children to provide the highest quality theatrical productions possible. The scope of the book has been defined by my own experience. By children's theatre I mean plays performed in theatres for children by adults, professional or amateur. I'm not writing about pantomime, although certain pantomime techniques often come in useful. Nor am I writing about youth theatre in which young people perform. And, although I have learnt a great deal from Theatre in Education, toured to schools by actor/teachers, I have not included a study of it. But I hope that everybody interested in theatre of all kinds for children will find I have something relevant to say, and I am certainly not implying that my particular area of interest means that I don't value the aims and achievements of other disciplines. I have never received formal training in writing, adapting, acting or directing. It seems somewhat impertinent to be writing a book about all four. But by getting up and doing it for so long I feel I have learnt a lot that might be useful both for teaching purposes and as a platform for future discussion. There is no one way to write, adapt, act or direct. This book is not intended to be the 'be all and end all' on the subject of children's theatre. It is based on one practitioner's experiences, opinions and insights into what makes theatre for children so very special. When I returned to England in 1993, the Unicorn Theatre in London was kind enough to invite me to every one of their new productions. On one occasion, I watched a children's musical that was so cohesive, I was left mesmerized. 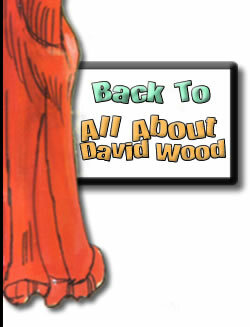 As I walked in the lobby, I read the credits and saw that a David Wood had not only written the play but had written the lyrics and music too, and directed it. No wonder the play fitted together like an enchanted piece of Swiss clockwork! So awed was I by the talent I had seen displayed, that for half an hour I tried to get up the nerve to approach David at the after-show reception and say, 'Congratulations. What a wonderful play.' Not normally a shy person, that day words failed me. In the end I took the easy way out and wrote him a letter. This book is the result.